St Mary’s School exists to further the mission of the Church. In Western Australia, the Mandate of the Bishops requires the Catholic Education Commission of WA to make Catholic school education available to all Catholic children, insofar as this is possible. St Mary’s school works in partnership with parents who are the first educators of their children. Acceptance of an Enrolment form or offer of enrolment does not guarantee an enrolment interview or offer of enrolment. Enrolment in St Mary’s School does not guarantee enrolment in any other Catholic school. St Mary’s School Board sets school fees. At the Annual General Meeting of the School Board, held in February, the Treasurer announces any change in fees for the year and the schedule is then published in the next School Newsletter. Catholic schools in Western Australia provide eligible current Health Care Card holders a discount on tuition fees only. A current Health Care Card needs to be sighted and an additional Rebate Form needs to be filled in. Please note that not all Health Care Card holders are eligible. Please contact the office if you have any queries. The inability to pay school fees does not preclude any child from attending St Mary’s School. Parents who are unable to access the Health Care Card Scheme but would still have difficulty in making school fee payments, should see the Principal to discuss the availability of alternative fee payment arrangements. At St Mary’s School, Kindergarten applications will be taken at all times. Interviews will be scheduled early in Term 3 of the year before and written notification of acceptances sent out as soon as all interviews have taken place. Other applications will be taken and interviewed as per Interview Criteria as soon as a place becomes available. The interview process will follow that outlined in this document. If a parent or guardian knowingly withholds information relevant to the application/enrolment process then the Principal reserves the right to refuse or terminate enrolment on that ground. Parents wishing their children to be educated at St Mary’s School need to complete an enrolment form available from the office or website. Once the form is completed an interview with St Mary’s, Principal, Mrs Melissa Marquis needs to be organised. This is not a confirmation of enrolment and you will be advised by letter if your enrolment has been successful. 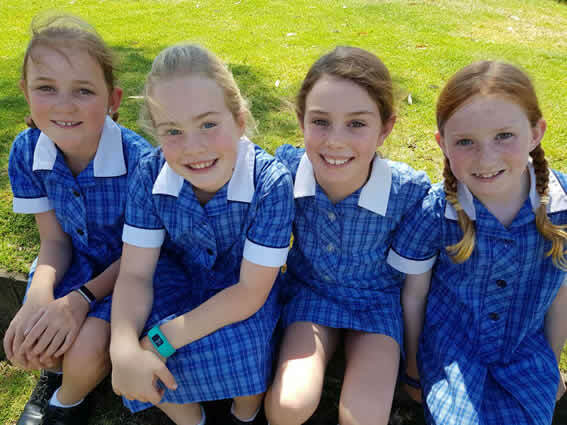 Each year during the months of August and September, the school will advertise in the school newsletter, parish bulletin and, if necessary, the local paper for enrolments. However, this process will occur only if the waiting list does not exceed 15 of the above and that the total class numbers for the following do not exceed 26 in the junior primary classes and 30 in all other classes. Names may be submitted to the school secretary at any time prior to the month of August to be entered onto the waiting list. Enrolment for grades other than Kindergarten will be on application by the parent to the Principal who will determine eligibility for entry to our school providing that a position is available for a new student in the appropriate grade in accordance with the priorities stated above. That they abide by the policies and practices established and developed by the Principal and the School Board whilst their child/children are enrolled in St Mary’s School. If you are unsure of any policies or practices please consult the Principal. That they have an obligation to fully support the fund-raising ventures of the Parents and Friends (P&F) organisation. The P&F funds provide the additional amenities necessary for your child’s education that supplement what is provided by the School Board’s budget. Permission to act on the parent’s behalf if contact cannot be made.